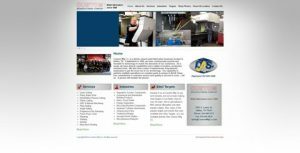 Custom Manufacturing Company came to Dallas Website Design interested in replacing an old and dated website that didn’t function well and no longer suited their needs. We providing them with a custom designed website built within the WordPress Content Management System, to provide them with the ability to easily manage, update and add to the website. We incorporated Responsive Web Design so that the website would look great and display properly on any device and in any browser. We also optimized the website and content for speed and to rank well in Search Engines. Below is a screen capture image of the website performance scores in GTmetrix, which is a well respected website that measures and analyses website performance and speed. The end result a happy client who now have a website they can be proud of, ranks well in Search Engines and can grow and evolve with their company.